Being a professional driver and part of a fleet organization, or being an owner of a company with a fleet, means that you are part of the lifeblood of an industry. Whether your enterprise has a few vehicles or hundreds, you need to know that wherever they are, they have quality options for repairs and maintenance. Anything less could put your business’s schedule, and everything that depends on it, in jeopardy. With all the repair and service centers around, finding the right one is like finding a needle in a haystack. How can your drivers know the right repair shop from the rest while they’re on the road? The answer is simple, what you need is a repair center that works directly with fleet management services & knows how to handle professional vehicle needs correctly. That way you know that the level of work meets high standards for both pricing and turnaround time. Nothing is worse than having a shop that can’t get your company vehicle the attention it needs right away. Certified Auto Repair is the answer to your fleet repair service needs. We are located conveniently in the west metro and work directly with several of the world’s top fleet management services including Wheels Inc, and ARI Inc. That means that when your fleet vehicles are in need of repairs, maintenance or warranty work in the Twin Cities, you’re able to come to us with the confidence that we have what it takes to get your driver back on the road. The problem will be remedied the first time, without extra downtime. If you have professional drivers in need of service, stop in today and see what makes us the right choice. 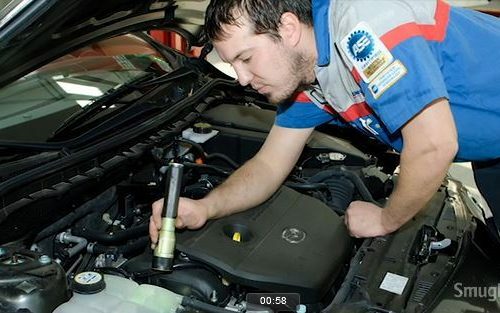 We employ only ASE Certified technicians at both of our locations. As the area’s AAA Approved repair shop, we are a cut above the competition and our customers attest to that fact. If your company vehicle is acting up, or coming up on a scheduled maintenance check; bring it to Certified Auto Repair today.